Most political commentators agree that the UK is on the verge of one of the most unpredictable elections in recent years. We’re told that it’s no longer “business as usual”, that no party is likely to win a majority this time around and possibly for the next few General Elections to come. Yes and no. If there’s one thing we can be reasonably sure of, it’s that we’re staring down the barrel of another possible coalition government. And despite Nick Clegg’s confidence that the Lib Dems will hold the balance of power once again after May, with smaller parties such as the Greens, SNP and UKIP drawing more supporters and many protest votes from both the political left and right, the make-up of the coalition could be very interesting indeed. But, no more “business as usual”? I’m not convinced. The political discourse is dominated by the expected topics such the Economy, NHS, Education and Immigration, but the main political parties are debating with very narrow terms of reference. Austerity is accepted almost without question. Immigration continues to be the lens through which other issues are refracted – housing, the NHS, EU – and it’s about numbers, fear and negativity. The media is obsessed with the possibility of American Presidential-style TV debates, despite the fact that three minute debate sound bites will not even begin to touch the big questions of the day. Questions like, how do we secure a recovery for the many and not the few? According to the Social Market Foundation, the winners of the downturn so far are the top 20% of earners. The losers include the bottom 20% and 26-35 year-olds. The toll on the young is being felt keenest by those in the BAME community, who have seen a 50% rise in long-term unemployment since the coalition came to power. The cuts are hitting the most vulnerable the hardest. The bedroom tax, changes to housing and other benefits are causing hardship. The government has repeatedly denied the very real need driving people to food banks, despite the evidence cited by the Trussell Trust, which administers a large proportion of them and whose volunteers are meeting with clients first hand. Research conducted at West Cheshire food bank revealed that “problems with benefits directly accounted for almost half (47 per cent) of the referrals”, backing the Trussell Trust’s findings. But they also found that low income, high utility bills and debt were also part of the problem. Zero hours contracts have proliferated and the reality is that many of those facing hardship are actually in work, contrary to the divisive political messaging that would have us believe that there is no crossover between the “hard-working” and those receiving benefits, who are often portrayed as “scroungers”. This is small politics that relies on “othering” certain groups as outsiders, like immigrants and those on benefits. This is small politics that could not offer a vision at the Scottish Referendum beyond gloomy warnings of bankruptcy and isolation should Scotland become independent. Maybe they were right, but once the referendum was won politicians retreated to Westminster without pausing to question how almost half of Scotland thought that leaving the UK was the best way to facilitate a fairer, more progressive country – that they considered uncertainty a risk worth taking because the status quo was intolerable. In contrast with the vigorous, wide-ranging and fundamental debate Scotland had about its future as a nation ahead of the referendum, the General Election, coming just a few months after the Union almost underwent an historical change, offers no transformative vision. The gloomy warnings are back too, this time cautioning against a possible coalition between Labour and the SNP, as if the latter is dangerous for the UK. Yet UKIP is allowed to set the agenda on immigration and Europe, even as they are criticised for espousing homophobic, Islamophobic and sexist views – in fact, they are mocked for their opinion on pretty much everything outside of those two issues – including Farage’s suggestion that we should do away with anti-discrimination legislation (racism is over – glad he let us know). But despite this, the other parties scramble over each other to offer some UKIP-lite rhetoric on immigration and Europe, reinforcing the craven image of politicians and bolstering the suspicions of UKIP’s supporters that they have been right all along. In the midst of all this, voices are getting lost. 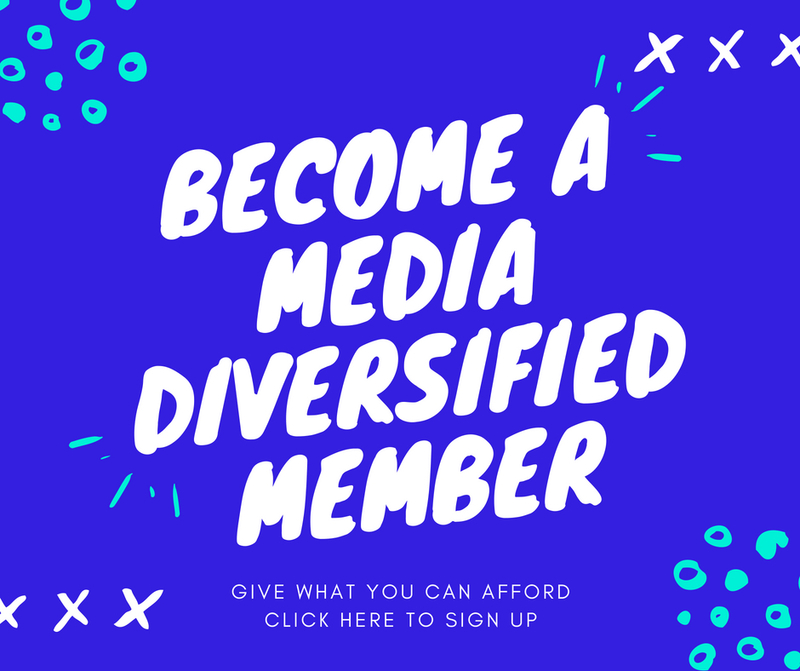 Media Diversified’s Other Political Series is not exhaustive, but we are trying to highlight some of the issues that aren’t getting enough airtime. We’re also featuring interviews with activists from the different political parties talking about how they got involved in politics and what their parties have to offer. Whatever the flaws in the system, we all have a vote. Frederick Douglass said, “Power concedes nothing without a demand. It never did and it never will.” This series is unapologetically encouraging you to use your vote, because it’s a key way to make the system responsive to our needs. The evidence suggests that the groups who do not traditionally vote, such as the young, are the ones whose concerns are most often overlooked. We will take a look at research from Operation Black Vote and Migrant Rights Network which shows that these communities could potentially alter the outcome in a number of seats. Britain needs better, more inclusive politics. This series doesn’t have all the answers, but I hope that these articles will offer some reflections on what’s at stake.